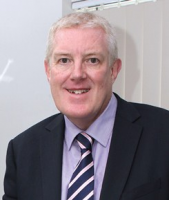 Mr White is a consultant orthopaedic surgeon with over 20 years of experience of managing hip and knee problems. Treatments offered include hip and knee replacement and revision surgery for failed joint replacement. He also has extensive experience of sports injuries with a comprehensive physiotherapy back-up. A full range of arthroscopic procedures for the knee and hip are available under the care of Mr White. Consultant orthopaedic Surgeon, Southend University Hospital, NHS. I have been an Orthopaedic Consultant at Spire Wellesley Hospital and Southend University Hospital for the last 19 years and this has provided me with a wealth of experience of hip and knee replacements together with the management of sports injuries. I trained at the Royal National Orthopaedic Hospital in Stanmore, London and I was awarded the Sir Hubert Seddon Gold medal for research. I undertook a year’s research into cartilage regeneration at the Institute of Orthopaedics, RNOH, Stanmore and Queen Mary’s University of London. This year gave me experience of some of the developing techniques for treating joint problems in younger patients. My training also involved being the Royal College of Surgeons Lower Limb Research Fellow in Detroit, USA. I have been fortunate enough to operate with some of the world’s finest orthopaedic surgeons. Currently I am interested in rapid recovery programmes that aim to improve post-operative pain relief and provide a more rapid return of function following joint replacements. I am a UK member of Aquilant Research and Development Board for the development of new ideas relating to joint replacement. I lecture orthopaedic trainees on infection control in joint replacement. I am a Football Association recognised Consultant and regularly treat professional sports people. I have lived in the Southend area for the last 17 years and appreciate the community aspects. I enjoy cycling, clay pigeon shooting and skiing with my family. Southend’s wonderful coastline provides us with excellent dog walking opportunities and an additional form of exercise.